It's Friday. I had a long week of dogsitting as my daughter came into town so her boyfriend and her could go to a going away party for the BF's twin brother. 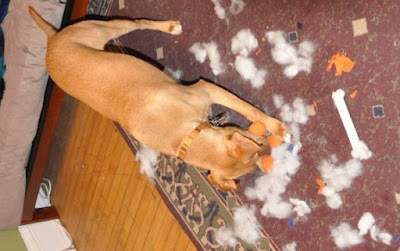 Dogsitting is a breeze, except when you have a tiny Affen, and the new dog is part pit and looks at your dog as lunch. Or as a toy that needs to be gutted. But now it's back to we three, and my dog cannot be happier. And I need food, and probably a beer to alleviate my stress of cycling dogs in and out of their respective locations of safety. So let's do a quick clean of the scan folder - three images of three mailings. Jeff over at My Sports Obsession dropped these two purple Heritage refractors on me. 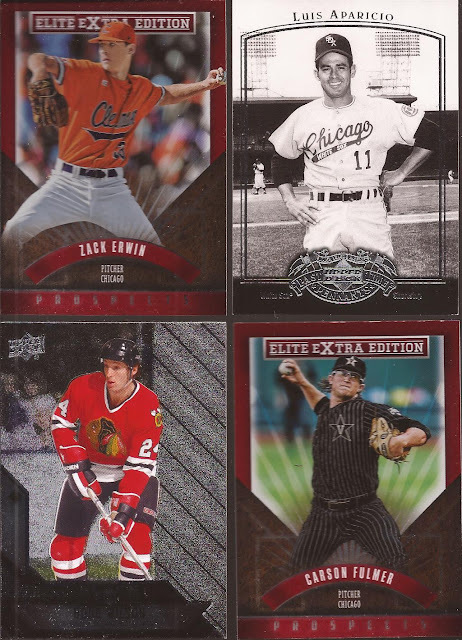 I'm still working on the Sox team set (I think I have two cards towards it), but always lack on the chrome-y stuff, probably because it really doesn't fit in the whole scheme of things, Topps. But being a completist, I will gladly accept free needs. Thanks Jeff. Jeff (squared) at Wish They Still Came With Bubblegum sent what it turning into monthly PWEs on me last week. Some good stuff within, including that single diamond Wilson and some prospect White Sox (love the Vandy uniforms). I wish that Luis was in color, but it's still a rare shot to see on cardboard. And thanks to you, Jeff. Last we have Jeff Steve from The Chop Shop. A couple nice additions to the buy back frankenset. I have yet to decide how high I will go (officially). I am sure I will have one offs here and there, but I should set a firm cut off point. Maybe 600. It's up for debate. But I have maybe a 100 so far. Getting to the time I should move them to a binder and start creating a want list. Thanks for the help, Steve. Alright - short and quick. Off to beat the crowd at the seafood place. It's not a Friday thing - just that we want seafood tonight and everyone else will be there for their own reasons. That's the first I've seen of those Vanderbilt uniforms and I must agree, those are quite different and rather sharp. I'd wear those. 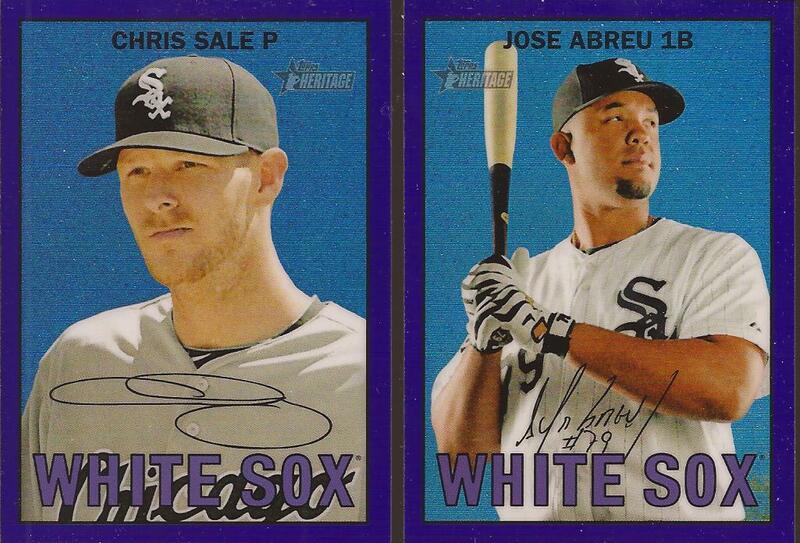 I'm pretty sure I sent you some North Side prospects too.. Panini decided not to differentiate this year. If so please send them on to your friendly neighborhood Cubs collector. I love dogs... but man, they are a lot of work. Well I guess some more than others. I dogsat for my friend's Bernese Mountain Dogs last weekend... and they were both so chill. I had to bribe them to go out and walk around the block. But even though they wanted to lay around the house all day... I went to bed that night extra tired.